Thank you for your recent article highlighting the importance of protecting Oregon's drinking water ("Agency wants more money, staff to protect drinking water"). The vast majority of Oregonians get their drinking water from public water systems and, as the Salem incident this summer showed, clients of that water district could not trust the safety of their delivery system. Ensuring clean and safe drinking water is a critical responsibility in which all levels of government must share. There are many components to the delivery of safe water to Oregon communities including adequate testing. However, testing alone will not ensure the future of our clean water. For that, we must also address our state's aging water infrastructure. Water infrastructure in Oregon and across the country is very often old, outdated and deteriorating. The costs to repair these critical systems are significant which is one of the reasons why the can has been kicked down the road. This, in turn, only adds to the growing price tag. The lack of investment in critical water systems that are relied upon to bring clean, accessible water to communities and the aging of public water infrastructure pose significant threats to the quality, safety, reliability and accessibility of public water. Refer to our story from Oct. 9, 2018, on state efforts to improve drinking water safety. The American Society of Civil Engineers (ASCE) estimates that appropriately updating America's drinking and waste water systems will collectively cost $1.25 trillion over the next 25 years. The infrastructure needs for drinking water and sewage for Oregon over the next 20 years comes with a price tag of nearly $10 billion. Price tags can be a difficult barrier for local governments to clear which is why we must think strategically about polices that will encourage the smart, efficient upgrading of water infrastructure in ways that maximize affordability without sacrificing performance or safety. One area that warrants examination centers around local governments' procurement processes vis-à-vis materials. Many communities across the country are currently weighed down with outdated procurement policies that restrict material selection, which unnecessarily increases the costs for public works projects and takes innovative solutions off the table. Adopting new procurement policies that allow for open competition in the bidding process for project materials may help communities stretch limited resources without compromising performance. One estimate cited in a Brookings paper indicated taxpayers nationwide could see $371 billion in savings if municipalities would switch to open competition. And it is important to specify that materials used in our water projects must meet a rigorous set of performance standards so that these savings won't mean that any corners will be cut. We must work to ensure that resources are made available to ensure safe, clean drinking water for all Oregon communities. That includes funding for testing and should also include the promotion of common-sense solutions, like open materials procurement for infrastructure projects, that will help accelerate local governments' ability to modernize their water infrastructure. 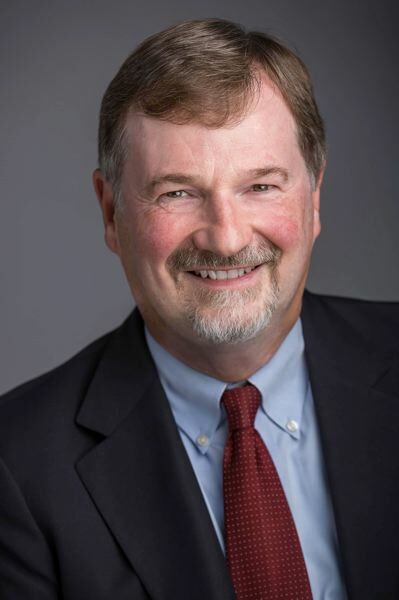 Brad Witt is the state representative for House District 31, including Columbia County and parts of the Hillsboro, Banks and North Plains areas.